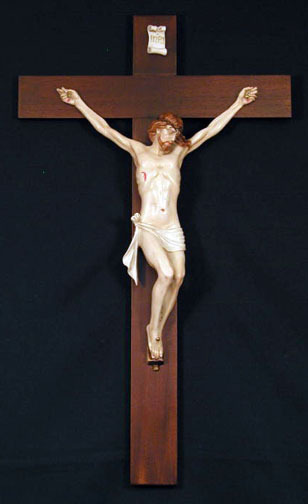 Crucifix with a hand painted alabaster corpus and a wood cross, 26.5". 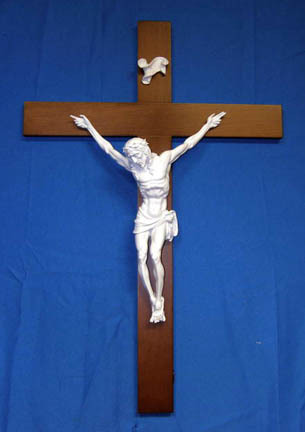 Also available with a white alabaster corpus (ES-830-W). Made in Italy.